I’m introducing a stationary lunge. 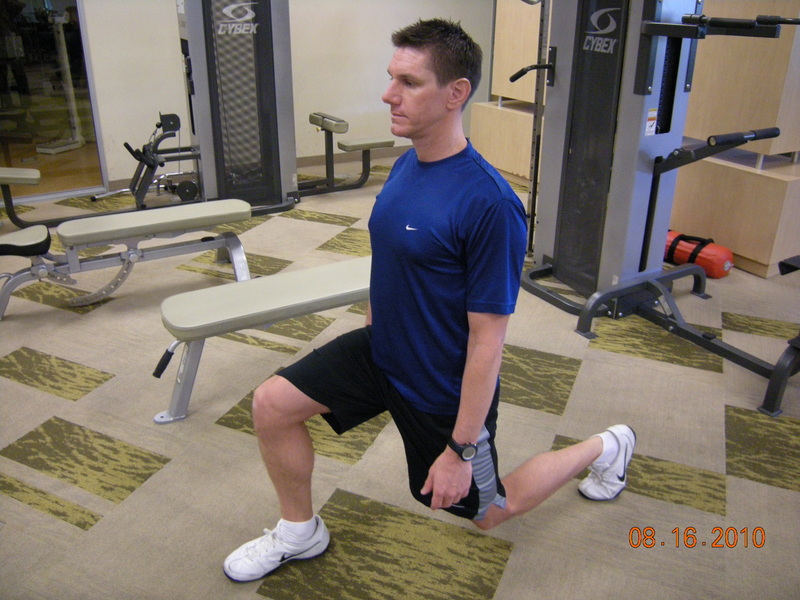 When you learn to perform a stationary lunge properly it will set a great foundation for you to learn all of the other lunges (and lunge combinations). To begin stand with your feet next to each other. Your feet should be about hip width apart. Take a large step back with your left foot. Be careful not to place your left foot directly behind your right foot (you should maintain the same distance between your feet width wise that you established when your feet were next to each other). This is the Start Position. From this position lower yourself to the Finish Position. It is important to keep your torso upright (perpendicular to the floor), and lower your hips and shoulders straight down. Avoid rocking forward. Lower yourself until your front thigh is parallel to the floor. 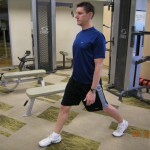 Your back knee should not touch the floor. Exhale as you return to the Start Position. The majority of your weight should be on your front heel as you press directly into the floor with your front foot to return to the Start Position. 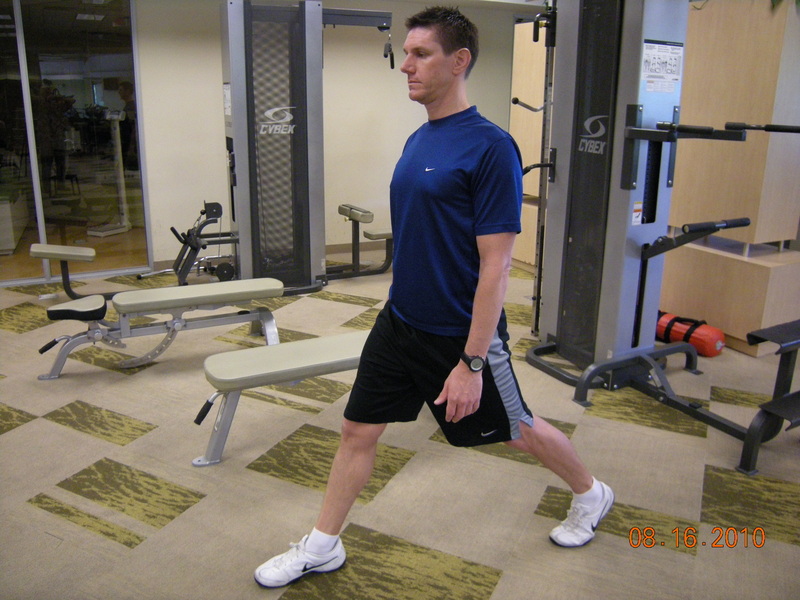 Your feet should remain in place (split stance position) throuhout the entire set. Repeat with your left foot forward.